When it comes to epoxy, particularly of the floor type, there are an awful lot of misconceptions floating around that make many people hesitant to even give it a try. The big question you’re probably asking yourself, is whether or not it is actually worth it to even try installing epoxy. Well, there are several reasons for which you should give it a try, and we’re certain you’ll be happy with the results. There’s not too many flooring options that is as dramatic and beautiful as a high quality epoxy floor finish. Let’s take a look at some of the common facts and fiction about garage or commercial epoxy. Yes, you’re going to sink a bit of money into this project, no doubt, and if you call many of the services that do the job, you’ll probably find that they charge an arm and a leg. If they’re charging more than $6 per square foot, they’re probably padding their expenses, and quite frankly, you could do it yourself for far cheaper. Don’t fall into this trap! These people are only serving to perpetuate the myth that epoxy floors are unaffordable and may not even be doing a good job. The price should be somewhere in the neighborhood of $4-5 per square foot, though it will actually be quite a bit cheaper to do it yourself, depending upon the type of epoxy you choose to utilize. Know the facts and know that you don’t have to break the bank to get the best protection. Whoever started this myth really has no idea what they’re talking about. Garage epoxy flooring comes in many different types and styles, and some are much better than others. One of the biggest mistakes people tend to make is choosing a water based polymer, which is DIY friendly, but has very little abrasion or impact resistance. Very often applying a water based epoxy will not be a good investment, so choose your floor protection wisely! Any quality professional would never use a water based epoxy and neither should you. All You need to Do is Clean your Garage Floor and You’re Ready! It’s going to take a bit more work on your part if you really want to be ready for your garage epoxy flooring. The most annoying myth that goes around is that you only need to give your garage floor a once over cleaning to get it ready. No, it’s not quite that simple. You need to remove all dirt, stains or oil and most importantly, open the pores. Remember, opening the pores promotes adhesion, and that’s exactly what you need to happen when you are laying down your epoxy flooring. A good acid etch or diamond grind will clean your floor and open the pores of the concrete allowing the epoxy to soak in and form an unbreakable bond. Always try to do a power washing first to remove as much of the surface contaminants as possible. When rinsing off the acid etch solution scrubbing a little TSP powder in first and then doing a rinse with a power washer will yield the best results. Okay, there’s SOME upkeep involved, of course, but you don’t need to constantly redo your top coat to make it look good. 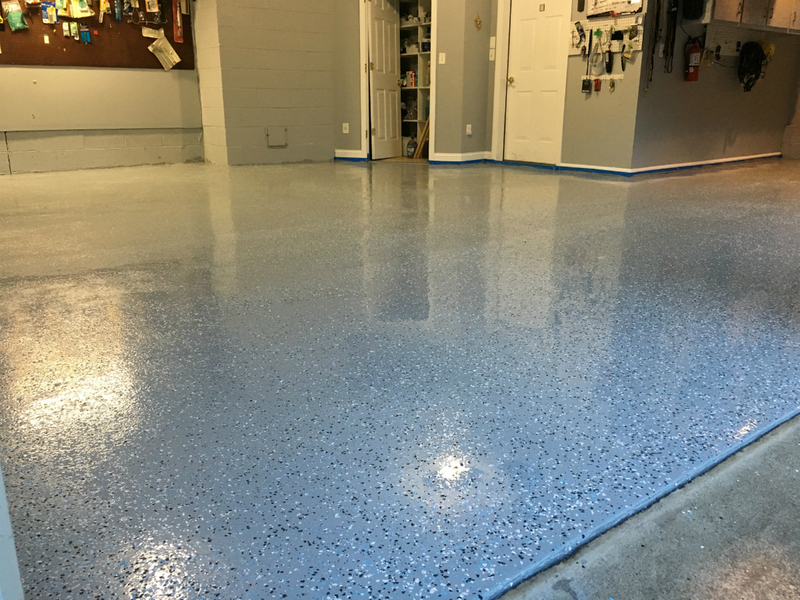 With a properly installed topcoat and good preparation, your garage epoxy flooring should stand the test of time and look great for many years to come. It might be hard to accept, but as long as you follow the instructions and take the above into account, that epoxy won’t be going anywhere for the foreseeable future and all that will be required is routine cleaning with a cleaner such as Simple Green and water and in most cases just a garden hose will get your floor clean. A good urethane topcoat is like Teflon and not much should stick to it. It’s just a Paint Job! Something we need to address right now, is that paint is not epoxy. Paint is, well, paint, and epoxy is comprised of resins and chemically engineered hardeners. When compared to the low thickness of paint, epoxy might seem like some sort of miracle, being up to 25 mils thick while paint and low quality epoxies are 2-3 mils. You can even coat with several layers to make it thicker. Additionally, epoxy boasts higher adhesion ratings in addition to much higher abrasion ratings that will keep it intact for many years to come. A high quality urethane topcoat topcoat makes it an even harder finish then just an epoxy coating alone. A urethane based topcoat will provide UV Resistance against yellowing and fading, provide protection against scratching and impacts plus a give your floor a beautiful high gloss finish. It is important for you to take these myths into account simply because not doing so would open you up to doing so many different things wrong. That being said, read over this post several times, and then try to determine what other things you might be doing wrong. Sometimes, the worst thing you can do is talk to people, because quite frankly, so many myths are handed down from person to person, it can be difficult to keep track of who is telling the truth and who has simply been fooled. Don’t worry, our Need To Know Page has plenty of information regarding all types of epoxy flooring epoxy and how to apply them – just make sure you’re using the right product. When it comes to garage flooring epoxy there are several mistakes that could be made, but we are going to split them into two categories: Technical and Outright Blunders. 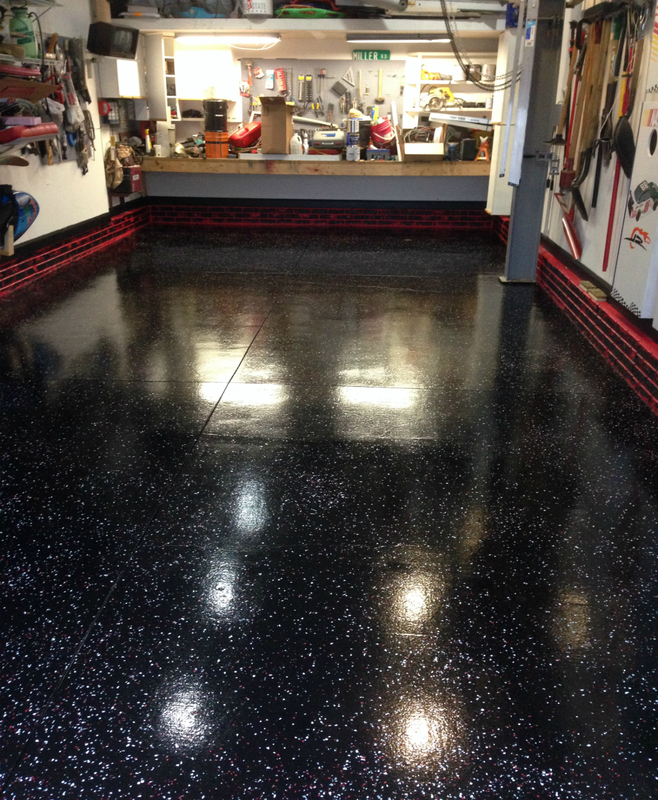 The idea behind installing epoxy in garage, warehouse, home, or workshop, of course, is to make sure that the floor does not become damaged for any reason and to add a beautiful high gloss finish that you can be proud of. Before you can get to that point, you need to make sure that you are using the right product and performing the installation properly, which is sometimes easier said than done. Let’s start with some of the more obvious mistakes and then move on to the steps you can take to prevent them. The biggest technical mistake that you can make when you’re in the process of installing your new epoxy floor is choosing an epoxy mix that doesn’t actually match what you are doing. What do we mean by this exactly? Well, consider that the lowest form of epoxy is water based, and there is a good chance that it does not have a very high abrasion rating. The abrasion rating determines how much abuse the floor in question can take before it needs to be replaced or at the very least re-coated. When you are buying your epoxy, take a look at the technical specifications first and see what the abrasion rating is. The lower the number, the better the floor will be protected. Yes, this might sound a bit backward, but it is the truth in this case. Solids content – Percent of Solids remaining following the curing of content, the higher the better. With 100% being the best an Aliphatic epoxies being the best 100% solids epoxies available. 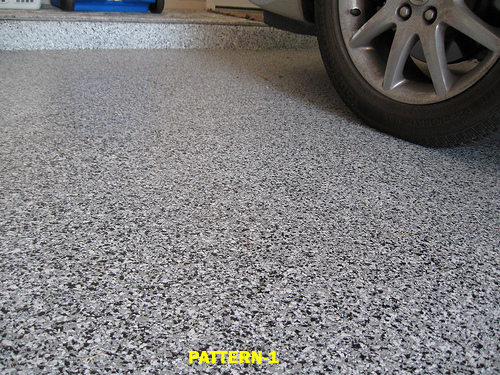 Volatile Organic Contents – This goes toward the idea of eco-friendliness in garage epoxy flooring. It involves the number of Volatile Organic Compounds that are released into the environment as the coat/sealer dries. Some states now require that any epoxy sold must be Low VOC. Low VOC epoxies are also good for areas where odor would be a problem. Being Low VOC means that fewer chemicals/solvents are released into the air and therefore less odor. 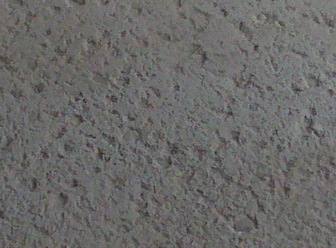 Abrasion Resistance – Once again we have the abrasion resistance which is determined by the Taber CS-17. This test involves an abrasive plate being mounted to a turntable and weighted at 1000 grams. The industry standard for this test is 500 cycles and all removed coating is recovered via a vacuum system for maximum accuracy. 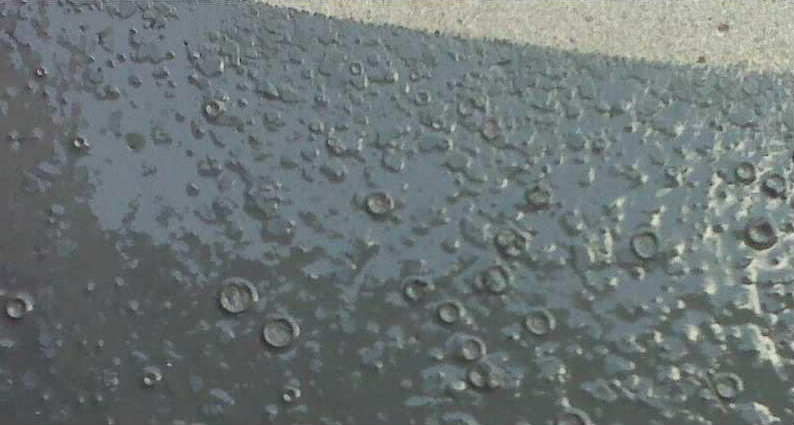 The coating loss is measured in milligrams, and the lower the number, the more durable the coating. Note that most epoxy coatings generally have a loss range of 20-45, a heavy duty topcoat for residential use should have a loss rating of no more than 20. For commercial or industrial applications a rating of no more than 4-8 should be used. Many so called heavy duty or industrial epoxies have very high abrasion ratings of 25 and higher which means if you don’t check the ratings prior to purchase you will be wasting your time and money. Keep in mind that abrasion ratings are like the Richter scale and that each mg less in the abrasion loss rating is exponential. Adhesion – This is exemplified in Pounds per Square Inch, showing how much force is needed to remove the coating from the surface. Any rating below 350 PSI generally means that the coating can be removed, a good epoxy should have an adhesion rating of 375psi – 450psi. This is means on a properly prepared surface the epoxy should not be able to be separated from the concrete. Chemical Resistance – Determines how well the floor is able to stand up to corrosives and acids that can leak from your vehicle or from the type of work you may be doing on the floor. Epoxies provide some protection from acids and caustic chemicals but a properly done epoxy flooring job will have a high quality urethane topcoat applied over the epoxy which provides substantially more protection against chemicals and acids. A note here, an epoxy is not a topcoat and can never be made into a topcoat by simply adding in so called additives. This is just a way some companies try to cut corners because they don’t or can’t make a true urethane based topcoat. Failing to pay attention to these important facts can result in serious problems, so make sure you read the performance specifications of the epoxy you are considering to buy and if you don’t understand any of it, call and ask questions. There are many mistakes that can be made during the installation of garage epoxy flooring as we are sure you are aware, but we have cut it down to just a few for the sake of expedience. Your floor most definitely needs to be prepared if you are to complete the installation properly. You need to do more than just move everything out of the way; you need to make sure that you have scrubbed the floor, power washing prior to acid etching to remove all dirt and debris is always recommended, and most importantly make sure that when you’re done with the preparation process that your floor is completely clean and 100% dry. If not it’s recommended that you etch the floor a second time and scrub in a perpendicular direction to the first etching to ensure you clean any small missed spots from the first etching. A small spot you might have missed will usually at some point in the future result in what we call a pop. It’s a small spot that just seems to pop off the floor. This is not the fault of the epoxy but simply a result of a little dirt or moisture left in the floor after you prepped it. Not something to freak out about, you can just sand the area clean and apply some touch up epoxy to fix the problem. 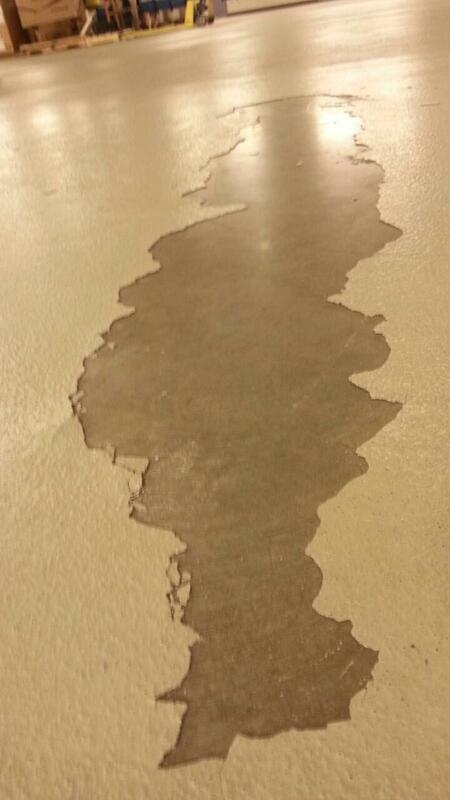 Always make sure that your concrete is dry before you try to apply epoxy; we cannot stress this enough. 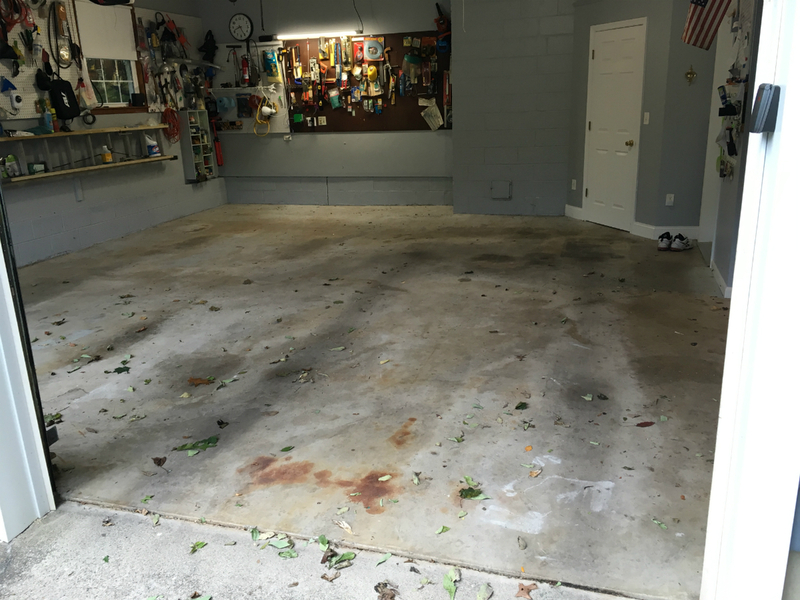 The garage flooring epoxy will not adhere to a wet surface, either from moisture coming up through the slab or leftover moisture from cleaning. before considering applying an epoxy to your floor, tape down a piece of 3′ x 3′ plastic to your floor with a good duct tape making sure all edges are sealed 100%. Let sit for 2-3 days and then see if any moisture has accumulated underneath. No moisture means you’re good to go. The presence of moisture means you need to take an extra step such as applying a moisture sealing epoxy primer. After cleaning it’s recommended to wait a minimum of 24hrs to let the floor dry properly, 48 hrs may be needed depending on temperature and humidity. Always better to allow extra dry time to be safe. Just a note for clarification purposes. Once your floor has been epoxied it is waterproof and no amount of water hitting the surface of it can harm it. It’s only water and or moisture coming up through the slab that is the problem. One of the biggest mistakes that you can make is to try stretching out your epoxy when you are running low. If you think you’re running low work your way to a corner so that you run out at the corner, then order more product to fill in the corner. If you are top coating, apply the topcoat once the epoxy has dried but stay back 6″ from the edge of the unfinished epoxy so that when you apply the new epoxy to the unfinished area you can lightly overlap that epoxy edge to blend in. Then apply the topcoat and overlap lightly onto the previously applied topcoat. We recommend that you lightly sand a strip of the topcoat with 100 grit paper to rough up, this will ensure that the overlap topcoat area bonds properly. If you do try to stretch it out, it might be thinner in some areas, causing it to be different shades and less glossy in some areas. In the end, it will completely defeat the purpose. Don’t mix too fast! There’s no rush! If you mix too quickly, you will usually end up with air bubbles in your mixture which will translate to the surface that you are applying it to. Additionally, make sure that you are paying attention to the ratios and mixing everything properly. it’s important to follow the directions of your particular epoxy. High quality epoxies will stress not to mix all the epoxy at once. Since high quality epoxies cure via chemical reaction and not air drying which means the more you mix the more chemical reaction you get and it could cause the epoxy to cure rock hard in the bucket in about 5-10 minutes. Also it’s a good idea that after mixing a small batch is to pour it out onto the floor in a bead. The cooler floor temp will slow down the curing process. We recommend that you mix no more than 1 gallon per person rolling. These are just a few of the big mistakes you might find yourself making when you are dealing with epoxy. 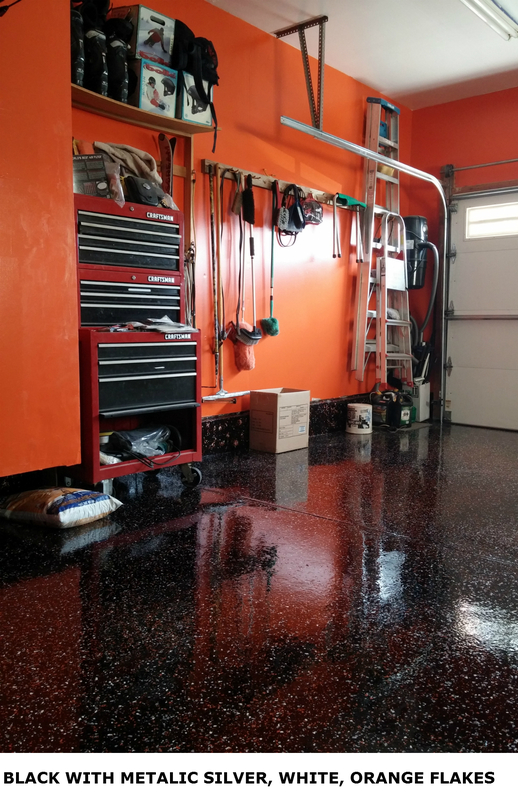 Remember, garage flooring epoxy can be an amazing innovation for your garage, warehouse, home, or shop, but you need to make sure that it is done correctly. Our expert Reps are always on hand to help you do it right. 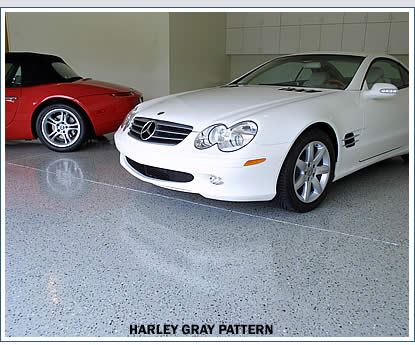 The question asked is why should I spend money to put an epoxy coating on my concrete floor in my garage or business. Well there are a few good reasons. We would say that’s a pretty good reason right there. The above is our Armor Chip garage epoxy kit which can be used residential or commercially. 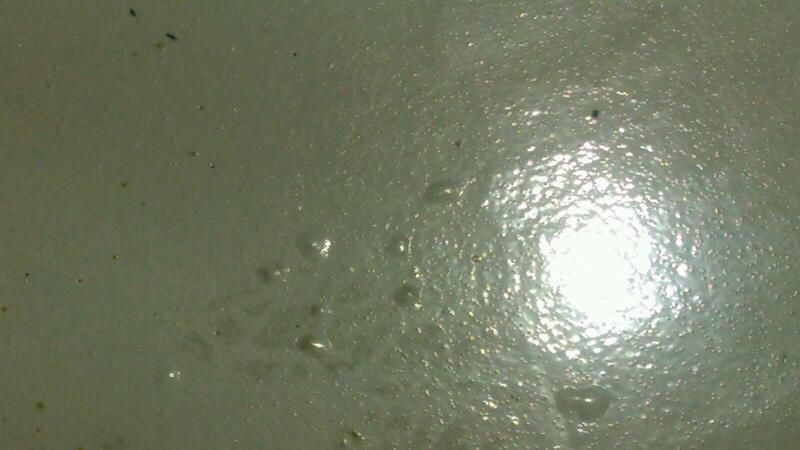 Another reason for epoxying your floor is for protection to prevent your floor from looking like these two images. This is the beginning of your concrete failing from abrasion, salt corrosion and age. If you do nothing, eventually you will need to do an expensive slurry type resurfacing or complete replacement. If you have rebar in the floor it will lead to rebar corrosion and a very expensive restoration project. Much better to apply a high quality epoxy floor coating. It will enhance the look of your floor while protecting it from wear, tear and corrosion. If your floor has gotten pitted to this point. We would first do a good acid etch and TSP rinse. If you can do a diamond grind, even better but we would still do a TSP rinse to get the floor to the right PH. Then you’ll need to put down a good quality epoxy primer followed by a layer of extra thick 100% solids epoxy like our Ultra Epoxy with a flat squeegee. You want to scrape the squeegee along the surface leaving little to no epoxy on the surface of the primer. The main purpose of the flat squeegee is to fill in the pits. Once that dries then you can apply a second layer of epoxy to the floor. Then as always you must apply a proper urethane epoxy topcoat. When doing a slurry to level out an uneven floor it’s critical that the preparation is done properly. It doesn’t matter if you are going to apply an epoxy floor coating over it, put down some type of flooring or just leave it plain. The concrete must be profiled properly so that the slurry will bond to it. We recommend a shot blasting. It’s cheaper than grinding and it leaves a rougher surface. Also use a good quality product such as Aedex-15 or CMP. These are commercial grade products that will last you a lot longer than the bargain stuff you can buy at your local Home Improvement store. If you are applying an epoxy coating always check with the manufacturer on the wait time after curing. The cure time before you can apply any coating varies greatly between products. Also make sure the product you use is rated for the thickness you need to float the slurry at and that it can handle the intended traffic load at that thickness. Most times the slurry is applied with a Gage rake which is simply an adjustable flat blade on rollers. You set the blade for the desired thickness and you roll the rake over the slurry. It spreads the slurry out at the desired thickness. For less drastic floor repairs visit our concrete repair page for a selection of products that can repair cracks, divots and holes in your slab. The next issue I’d like to discuss is peeling or delaminating of your garage flooring epoxy. Please note that all our coatings are made in large batches and are pull tested for proper adhesion level. The first image is an epoxy peeling off in a sheet. This can occur from an improper cleaning of the floor, a floor with a sealer on it, a floor with oil or grease in it. To avoid this simply clean the floor properly. We stress proper prep of your floor very strongly on the website and provide a lot of details on how to do it right and what your floor should look like when your done cleaning it. As long as you follow those easy guidelines you will not have this issue. Remember the key is to not have any contaminants between the epoxy and your floor. If the floor is clean and the pores open from etching there is no way for our epoxy to peel up. We have some of the highest adhesion ratings in the industry with our Ultra Fast epoxy having an incredible 725psi adhesion rating. No other epoxy comes close. When we do our adhesion tests we apply each epoxy onto a piece of concrete, let it cure and then do a pull test on it. The only way our epoxy will pass that test to us is if the top layer of the concrete comes off with the epoxy. If the epoxy gets pulled off the concrete that batch is rejected. This next image is of a topcoat delaminating from the epoxy coating. This can happen if a topcoat is applied too long after the epoxy has cured. The longer an epoxy is allowed to cure the more the microscopic pores of the epoxy close. Once they close past a certain point the epoxy becomes like Teflon. So we recommend that you apply your topcoat as soon as the epoxy is hard and dry to the touch or the next morning. If you have to wait for whatever reason then you simply need to scuff the floor to rough it up with 100 grit sandpaper. Also if using the military topcoat, only one coat is needed. Applying two coats runs the risk of delamination. Nothing likes to stick to our military topcoat, not even itself! 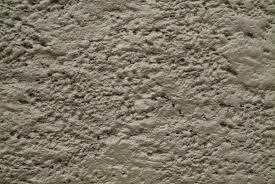 If applying two coats you must thoroughly sand the first coat to make sure the second coat will bond to the first coat. So there you have it. All of the above is easy to avoid by just following the instructions you get with your kit and by following the advice we give you on the website. If you do happen to run into a problem, don’t panic, just give us a call we’ll help you solve the problem and get your floor looking like it should. Although today it’s extremely rare that you get bubbles in the epoxy such as these in the images below. But it can happen so we need to talk about why it can happen and what you need to do to fix it. The bubbles will usually show up the next morning when you’re ready to apply the next coating. Although this condition rarely happens these days, it used to happen more frequently cause in the old days lots of floors were not installed with vapor barriers. All fairly new floors have vapor barriers. Some floors installed prior to 1980 may not have had a vapor barrier installed. If you have a 30 or 40 year old floor it’s a good idea to do a moisture test BEFORE you order an epoxy floor kit. A simple way to do that is to tape down a 3×3 or 4×4 square foot piece of plastic and seal it all around with some good duct tape like Gorilla Tape. Let it sit for 24-48hrs and then remove the plastic to see if any moisture has accumulated underneath. If no moisture is present you’re good to go, if there is moisture take a picture and send it to us. We have products that can deal with moisture but moisture issues need extra consideration. Please note that moisture that gets on the floor from above is of no concern, we are only concerned with moisture coming up from below the slab. The next reason you can get bubbles is by mixing the epoxy with a drill at full speed. This will whip air into the epoxy which will then have to escape during the curing process causing bubbles and other deformations to occur in the epoxy. This is easy to avoid and really never happens, just using medium speed on the drill will prevent this problem. The next reason is applying the epoxy in direct hot sunlight. This can happen but again it’s easily avoided(who wants to work in direct sun on a 100 degree day!). On a very hot day lets say above 95 with direct sun hitting the floor, the epoxy will start to cure extra fast making it difficult to work with in a short period of time. Remember our epoxy is military grade pure epoxy, it’s not your typical water based or store bought epoxy. Our epoxy cures via catalytic reaction and is not an air cure. This means that while curing it generates heat and the more heat the faster it cures. So you don’t want to be adding extra heat like direct sun on a 100 degree day. Direct sun on cooler days is fine. So just a little precaution will prevent too rapid a cure that will trap in air. Bubbles can form from a few hours to a few months after application. The good news is they are easily avoided by a simple moisture test if a moisture issue is suspected, don’t mix the epoxy with the drill at super high speed and close the door if you have to apply the epoxy with direct sunlight baking the floor on a very hot days above 95. What do you do in the event of bubbles in the epoxy? Very simple as long as it’s not due to moisture vapor coming up through the slab. Hopefully you read this article and did a moisture test first. Which means most likely you mixed the epoxy at full speed or you were rolling super fast and you whipped some air into the coating. No big deal! Don’t panic. Simply cut off the bubbles, lightly sand with 100-150 grit paper and reapply a little more epoxy. Make sure you apply the topcoat to all other areas right away and then topcoat the bubbled area when the new epoxy cures. Problem solved and more importantly problem avoided! So you’ve done all the prep work right you mixed and applied the epoxy per the instructions and everything looked great when you were done! Then the next morning when you come back to apply the topcoat you discover for some reasons you have the following issue. The above two images are of small epoxy spots that didn’t harden. This happens when not enough Part B was mixed into a batch or a batch was not mixed good enough and some Part A didn’t mix with enough part B. If this happens to you don’t feel bad it happens to our guys sometimes when they get in a hurry to finish a job. The good news is this is very easy to fix. Sometimes if you have some part B leftover you can rub some into the spot and it will hardened in 6-8 hrs. If that doesn’t work simply scrape up the soft epoxy, wipe down the area with Xylene(Home Depot) as best you can. You don’t have to get down to bare concrete, just scrape and wipe off as much of the epoxy as you can and then reapply some new epoxy to that area. We would also lightly sand the perimeter of the epoxy on the floor so that you can lightly overlap the new epoxy onto the cured epoxy. Also if this happens we want you to apply the topcoat to the rest of the floor, do not wait because of this minor issue. You will apply the topcoat to the new epoxy after it dries and again you will lightly sand the perimeter of the topcoat on the floor and lightly overlap it with the new coat of topcoat. Problem solved. When this happens it’s a concern but don’t panic. The coating is not defective. The epoxy can’t cure in some places and not others. It’s either all bad or not bad at all.It is extremely rare that you would ever get a bad set of epoxy that won’t cure. We test every batch of epoxy for curing, adhesion and hardness before it goes into inventory. The best way to avoid this from happening is to have one person do all the mixing and use clear calibrated mixing containers to measure out the part A and part B amounts accurately. These containers can be bought at Home Depot and such for 99 cents. Get the 100+ ounce size containers. With only one person mixing and using measuring containers you’ll never run into this problem. The only other way this can happen is if you’re doing the floor during the colder months and you have a cold spot in the floor usually by a door or wall. Putting some heat in that area will solve the problem most times, if not follow the above procedure. Remembering to apply the topcoat right away but not on any epoxy that is not rock hard. If you can make an indent in the epoxy with your finger nail it means the epoxy isn’t fully cured.